Lüderitz is now part of Namibia and is located in the southeast of the country, in a large bay that forms a natural harbour. The place was discovered at the beginnings of the Modern Age by the Portuguese explorer Bartolomeu Dias and it became a safe haven on journeys to India. But by the end of the 19th century, it had lost it strategic value, until a merchant from Bremen named Adolf Lüderitz decided to open a trading centre there. He bought the place in 1883 from the head of the Hottentot tribe and ceded sovereignty to the German Empire the following year. Lüderitz died a short time later and the town received its current name as a posthumous homage to him. The port maintained its trade functions and these were strengthened by the arrival of the railways in 1905. But the city's authentic age of economic splendour began at the beginning of the 20th century, when diamond reserves were discovered. It remained a prosperous city until the 1940s, when new richer deposits were discovered elsewhere and Lüderitz became a holiday resort, an activity it has maintained alongside that of fishing. 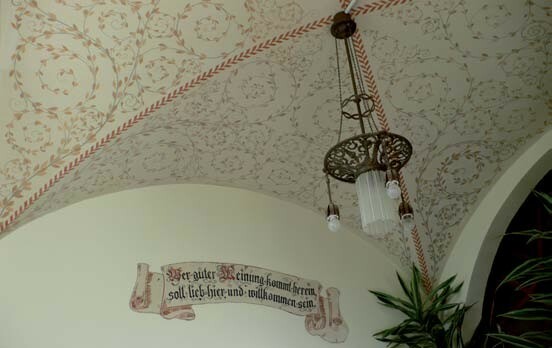 And it is from this time that the city's Art Nouveau heritage can be dated. 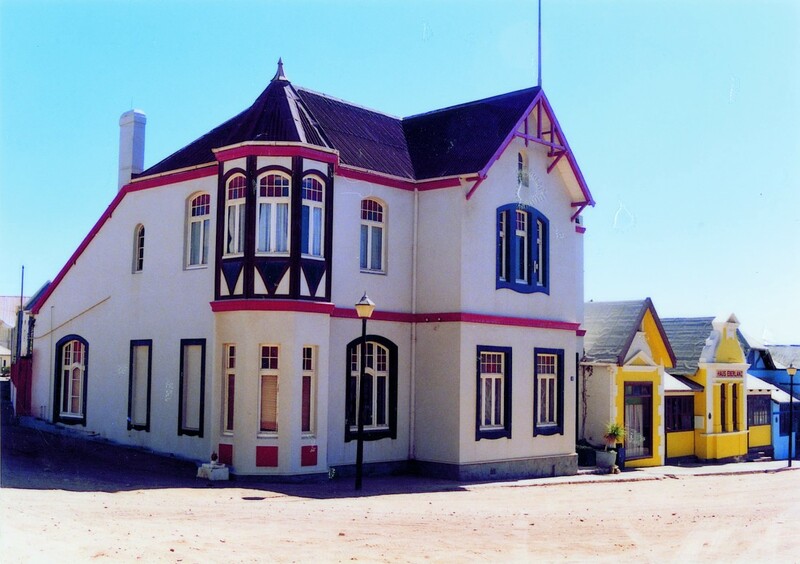 German immigrants converted Lüderitz into a mirror image of their home country and recreated the city in a style that was similar to Secessionism. The city's houses are asymmetrical in shape, with pronounced roofs that are more Nordic in style and façades painted white with touches of bright colours, such as blue, red or orange. 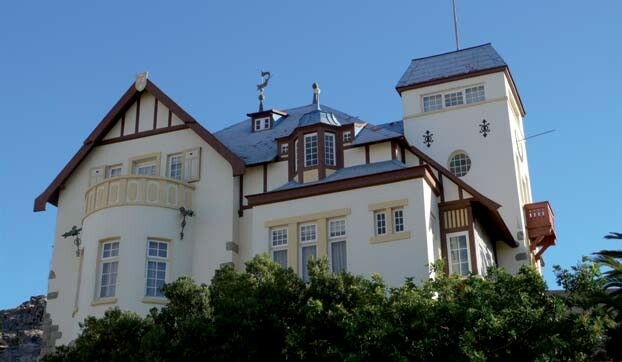 The most famous building is Goerke House (1909), an enormous, luxurious construction combining Secessionist tastes with the most colourful elements of Great Britain's Domestic Revival movement. The simpler Kreplin House (1910) presents a wealth of colour and has blue and red stripes. A dancing ballroom even remains, the Kapps Ballroom (1910), a one-storey building dominated by white and yellow. 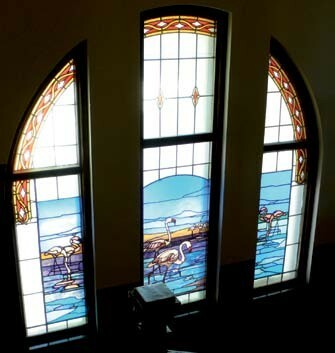 On a hillock above the city stands the Lutheran Church (1908), with its pointed façade crowned by a cross and still retaining its original stained glass windows. After the celebration of the city's centenary in 1983, the idea of converting the city into a tourist centre began to gather strength, in the aim of allowing visitors to discover and appreciate the city's rich and original architectural heritage.